Having undertaken more than thirty dives to the wreck of the Titanic, acclaimed director James Cameron has probably gained more first-hand insight into the sinking of the ship than any person alive today. Now, more than one hundred years after the tragedy, Exploring the Deep provides a thrilling account of his remarkable expeditions and the incredible technological innovations that made them possible. Capturing all the excitement, danger, and wonder of these pioneering expeditions, Exploring the Deep also examines the legacy of Cameron’s explorations and the considerable impact they have made on our understanding of the disaster. 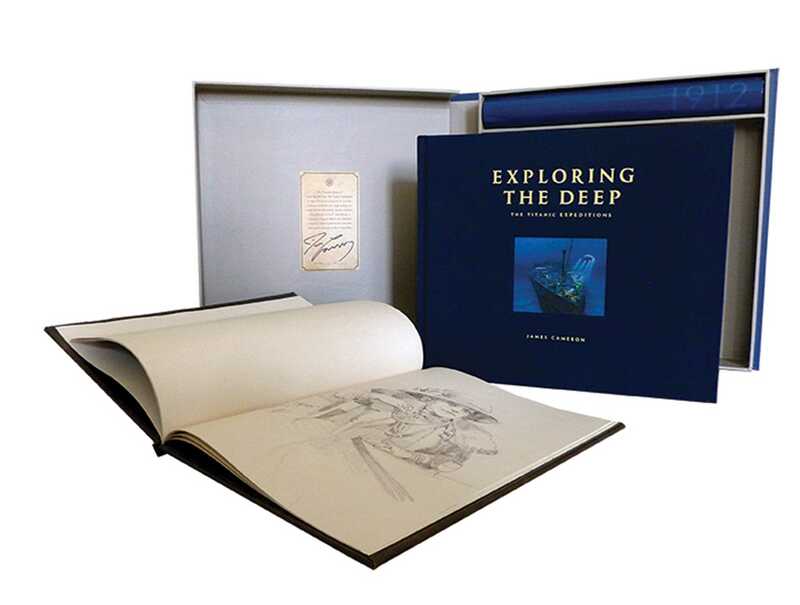 This deluxe collectors’ edition of Exploring the Deep features several exclusive items: A card of authenticity signed by James Cameron. A replica of the sketchbook Leonardo DiCaprio's character uses in the movie Titanic containing never-before-seen artwork created for the film by James Cameron. A signed print featuring acclaimed Titanic illustrator Ken Marschall’s artwork. The book itself features a cover exclusive to this edition and is presented alongside these exclusive items in a high-quality clamshell case. James Cameron is an Oscar®-winning film director and celebrated explorer. The visionary behind record-setting blockbuster movies such as Titanic, Avatar, and Terminator 2: Judgment Day, Cameron’s passion for diving and exploration has led him to embark on a number of trailblazing deep-sea expeditions, including more than thirty dives to Titanic. Cameron made history when he undertook the first ever solo dive to the Mariana Trench in 2012.